Only a couple of days until E3, and it’s not a surprise that we’re getting a couple of game leaks here and there. 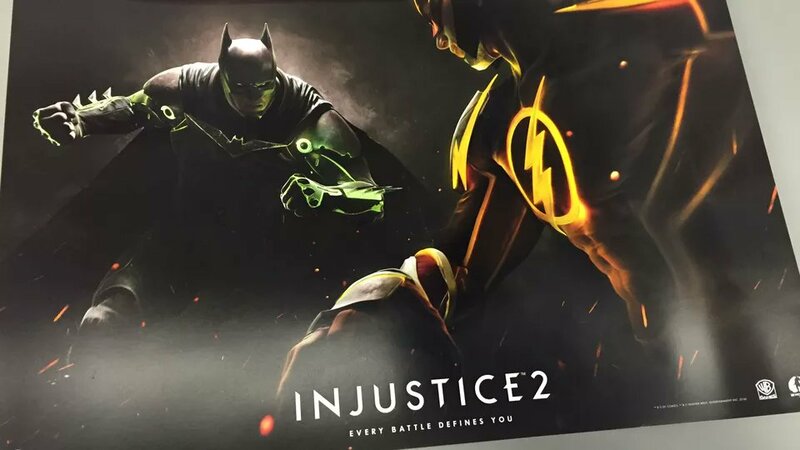 Just this week, an image of an Injustice 2 poster was floating around the internet, and today, NetherRealm Studios have officially announced that Injustice 2 is indeed coming. Injustice 2 will continue the story from the first game, Injustice: Gods Among Us, where ‘Batman and his team are working to restore society to what it once was against a group of people who want to reinstate Superman’s regime’ We can also expect to see new and bigger threats to the world, new locations, more action, destruction and drama, following the exciting storyline from the first game. Build and power up the ultimate version of your favorite DC legends in INJUSTICE 2. With a massive selection of DC Super Heroes and Super-Villains, INJUSTICE 2 allows you to personalize every iconic character with unique and powerful gear. Take control over how your favourite characters look, how they fight, and how they develop across a huge variety of game modes. This is your Legend. Your Journey. Your Injustice. With the success of Mortal Kombat X, NetherRealm looks to bring a darker and deeper tone to the Injustice storyline, and improve the dynamic fighting system, like the variations in MKX. Injustice 2 goes a step further and gives players the ability to control how their characters fight and look. The game is set to release sometime in 2017, on the Xbox One and PS4. It is unknown whether or not Injustice 2 will release on PC, especially after the performance issues with the PC versions of Mortal Kombat X and Batman: Arkham Knight.